Who doesn’t want long, strong, healthy hair? If you weren’t #blessed with super fab genes for a show-stopping mane, don’t fret, there are a slew of fab hair supplements that can help you there. In honor of our Mane Master, Jen Atkin, launching her line of Ouai hair pills–which are tailored for your hair’s specific needs like dry, thin, or oily–we’ve rounded up the best hair supplements on the market so your hair can be #goals in just a few months! By now, you’ve seen SugarBear Hair all over your Insta feed thanks to stars like Kylie Jenner and Vanessa Hudgets… and for good reason. SugarBear Hair gummies are vegetarian vitamins that contain vitamins A, C, D, E, B-5, B-6, B-9 and B-12, coconut oil and biotin. Needless to say, these uber delicious blue bears, which are made with real berries, have a super high vitamin profile that’s sure to whip sad strands into tip top shape. Nutrafol has been a tried and true fave of ours for awhile, mainly because it’s a great solution for people with thinning hair. Nutrafol is jam-packed with 20 pure, ultra-potent natural ingredients that target the root cause of thinning hair and helps your hair naturally thicken from the inside out. Nutrafol makes different supplements for men and women, too! 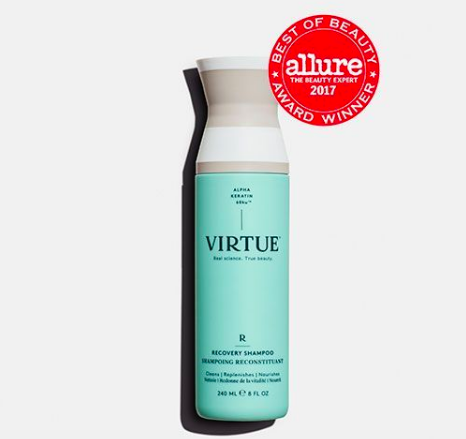 Viviscal has long been touted as the answer to thicker fuller hair without taking over-the-counter drugs. Their clinically proven blend Viviscal Extra Strength dietary supplements contain an exclusive marine complex called AminoMar®, along with biotin, zinc, vitamin C, horsetail extract and iron, to nourish hair from within. Ouai’s MD-formulated hair supplements tackles the stuff that even your deep conditioner can’t. These potent packets contain a cocktail of vitamins, minerals and natural extracts that will improve your overall hair in just 90 days. Not only do Ouai’s pills cater to three different types of hair–thin, dry, and oily scalp–you only have to take one pill a day instead of two like most supplement brands! Olly Nutrition does way more than just make hair growth supplements, which is one of the major reasons why we trust them so much! Created by a team of health enthusiasts and self-proclaimed “vitamin nerds,” the team behind Olly knows a few things about staying healthy from the inside out. Olly Undeniable Beauty is one of the best hair supplements thanks to it’s formula of biotin, vitamin C and E, and borage oil that is sure to give you long luscious strands in no time! Consider HUM the ultimate vitamin destination for just about any / every beauty woe you might encounter. What’s really cool about HUM is that you take a quick quiz, and it allows them to better suggest a vitamin to help you achieve your goals! Want to make your hair even healthier? HERE are the best silk pillowcases to keep your strands in tip top shape.